New To Yudu Salons – A. Scott Refinery Co.
Yudu Salons is so excited to announce a new addition to our ever growing community, Anthony Randleman. Anthony, proprietor of A. Scott Refinery Co, has been a aesthetician and managing nail technician for 9 years. He attended the Aveda Institute in 2010 and upon graduation began working in the Gahanna/New Albany area. Anthony is well know in the area for his excellence in nail and waxing services. He is enthusiastic and takes great pride in the details of his work. In the field of aesthetics, Anthony specializes in full body waxing where he strives to take the fear factor out of waxing. His level of experience and education makes any client feel at ease even during the most intimate services. Through a variety of techniques and education on aftercare, he ensures satisfaction and lasting results. When it comes to nails, Anthony’s approach to nail care differs from that of many salons. Anthony’s ultimate focus is making your hands healthy and keeping your natural nails in perfect shape. He doesn’t use products or tools known to damage the natural nail or cuticle and addresses a variety of concerns such as aging, hyperpigmentation and dryness. If your looking for the ultimate care for you hands, Anthony can get you ready for any occasion from your wedding day, holiday to everyday. Anthony is extremely passionate about the services he provides and strives to educate each client about them. Sanitation and quality are his main priorities when it comes to his work. His honesty and reliability allow him to build trusting relationships with his clients. 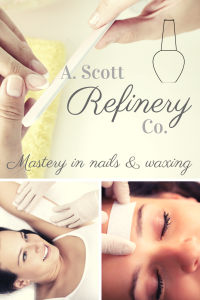 From brow waxes to pedicures, Anthony will have you feeling confident and looking great! We encourage you to give Anthony a call! His consultations are always FREE and all new clients get 20% OFF.